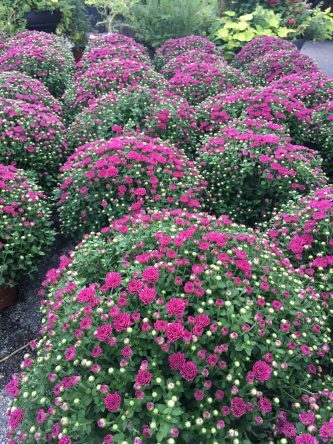 Garden mums are a staple in Dallas gardens as the summer heat breaks in the fall. 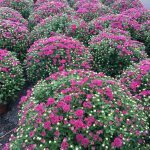 Huge mounds of blooms are great in beds with late season petunias as well as stand alone plants for porches and pots. 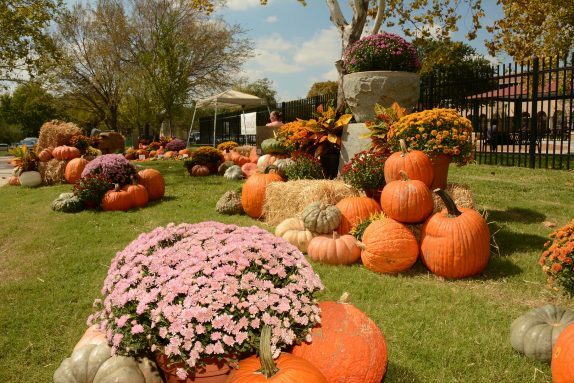 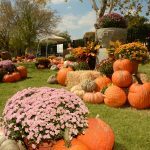 Another great use is for flowering color in Fall displays with pumpkins, crotons, peppers and hay bales! 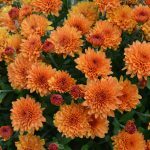 Blooms last 10-12 weeks, but if trimmed back, mums are a fairly strong perennial that blooms best in fall, but echoes the bloom in spring. 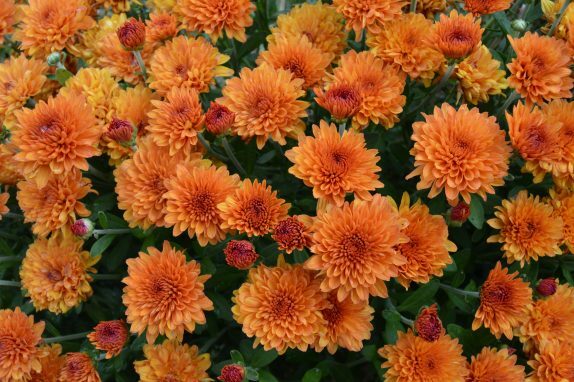 Plant at least 12″ apart and heights reach 18″.